28/03/2017, Brussels – The European Central Bank (ECB) urgently needs to increase democratic oversight and accountability if the euro is to survive the next crisis, according to a new report on the Bank’s governance by Transparency International EU entitled “Two sides of the same coin? Independence and accountability at the ECB”. The report finds that a lack of political leadership and decisive reform has led the ECB to stray into the area of political decision-making, without appropriate democratic scrutiny. This has been accompanied by a marked decline in public trust at a time when the ECB has been granted extensive new powers to supervise major European banks. 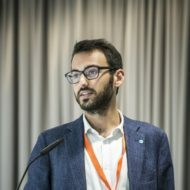 “While the ECB has saved the single currency more than once, the absence of a Eurozone finance ministry as counterpart to the ECB means that the Bank has had to stretch its mandate to breaking point,” said Leo Hoffmann-Axthelm, Research and Advocacy Coordinator at Transparency International EU. “If the euro is to survive the next crisis, then EU Member States need to stop hiding behind the technocrats at the ECB, overcome political inertia and get serious about reforming the Eurozone”, continued Hoffmann-Axthelm. The report finds that preserving the ECB’s independence limits its accountability to citizens, and recommends that the Bank should compensate this by increasing its transparency. The ECB should take immediate steps, such as automatically publishing its decisions and opinions and being more open about the political choices it faces, rather than insisting its decisions are purely technical. For example, at the height of the Greece crisis in 2015 the ECB repeatedly limited the ceiling on Emergency Liquidity Assistance for the country’s banks without publicly announcing it. The ECB’s discretionary powers allowed it to put pressure on Greek banks while negotiating bailout reforms with the Greek government as part of the Troika of international creditors. Similar dynamics could play out in the upcoming negotiations with Greece, and with the current recapitalisation of Italian lender Monte dei Paschi di Siena, which threaten the Eurozone’s current fragile stability, according to the group. “Clearly decisions which affect the fate of whole economies should have some kind of democratic oversight. The ECB should not be in a position to pull the plug on a country’s euro membership, a decision ultimately down to democratically elected politicians”, said Hoffmann-Axthelm. The report also finds the ECB has in recent years made improvements to transparency, by publishing Governing Council minutes and diaries of Executive Board members. However, there are flaws in the way the Bank manages conflicts of interest, given that Governing Council members do not disclose declarations of interests and assets. Furthermore, whistleblowing policies are fragmented and outdated and should be updated in line with international best practice. In view of the ECB’s responsibilities for supervising major banks, it should join the Transparency Register for EU lobby organisations. The ECB should seek an agreement with the Eurogroup and the European Parliament outlining political approval procedures for measures which are necessary but go beyond the mandate of the Bank, e.g. ECB letters with specific recommendations to governments. The ECB should make it a rule to publish its decisions, recommendations and opinions. The ECB should report to the European Parliament on any positions it takes in meetings of international regulatory bodies, such as the Basel Committee. The ECB should overhaul and publish its whistleblowing policy to ensure that individuals feel safe in coming forward and reporting potential cases of corruption at the Bank. Transparency International EU’s in-depth study looks into the ECB’s balance between its expanded mandate, its unrivaled independence, and its accountability. It analyses the transparency provisions, which may compensate a lack of democratic control, and the ECB’s integrity framework, making far-reaching recommendations.